DuPage County will begin pavement resurfacing work on Main Street between Ogden Avenue and 31st Street the week of May 18, 2015. 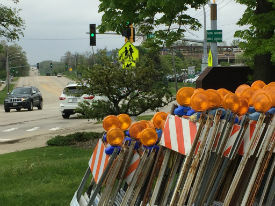 This work will also include removal and replacement of curbs and sidewalks at intersections. The project is scheduled to be completed by August 14, 2015. Questions and concerns regarding this project can be directed to the DuPage County Department of Transportation at DOT@dupageco.org or by calling 630-407-6900.